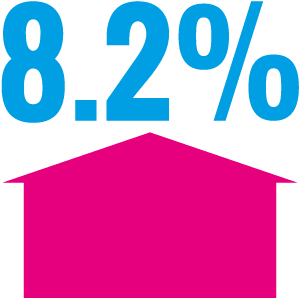 According to the UK House price index, house prices rose by 8.2% from April 2015 to April 2016. House prices increased over the whole of the UK and Terraced homes showed the largest growth - up 10%. The new House price index can be seen here.